69 fans have viewed From The Jam tickets today! 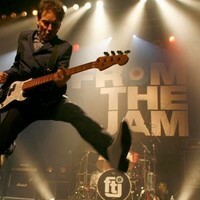 From The Jam will be performing 2 events in Hatfield Saturday 18th May 2019 at the Corn Exchange. Saturday 15th June 2019 at the Harpenden Public Halls. Official From The Jam "That's Entertainment"